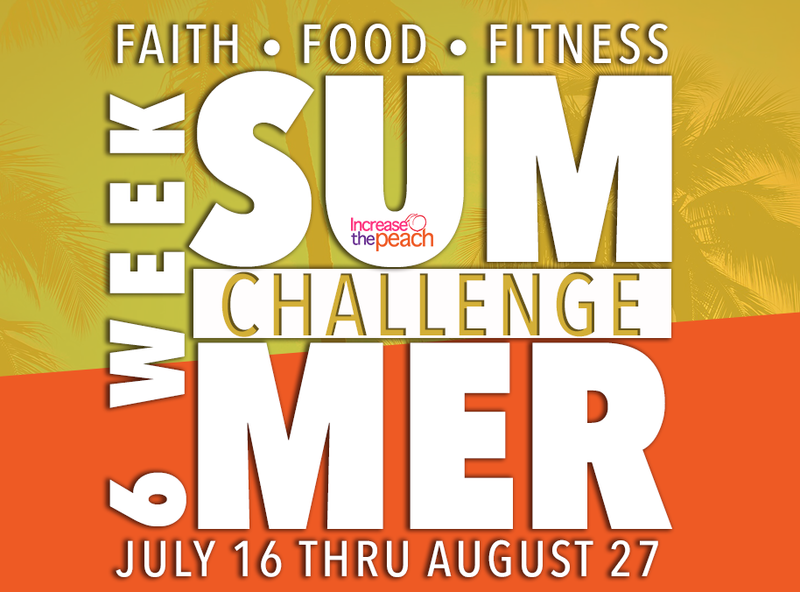 NEW CHALLENGE: Faith, Food & Fitness Kicks Off July 16th! Get at least 6 to 8 hours of sleep a night. Take ending photos (front, side, and back) on August 28 wearing the same thing you wore in beginning photos. Local participants are required to attend at least TWO group workouts per week. For those of you that are not local, a recorded workout will be shared in the Facebook group three times per week. Share you #SweatySelfies or fitness tracker stats so we know it’s real and that you got your workout in. This entry was posted in Fitness Challenge. Bookmark the permalink. Copyright © 2018 Increase the Peach™. All rights reserved.